This photograph, taken in Pilton Church Hall, is of the 12th North Devon (Pilton) Scout Group and is sometime in the early 1980s. 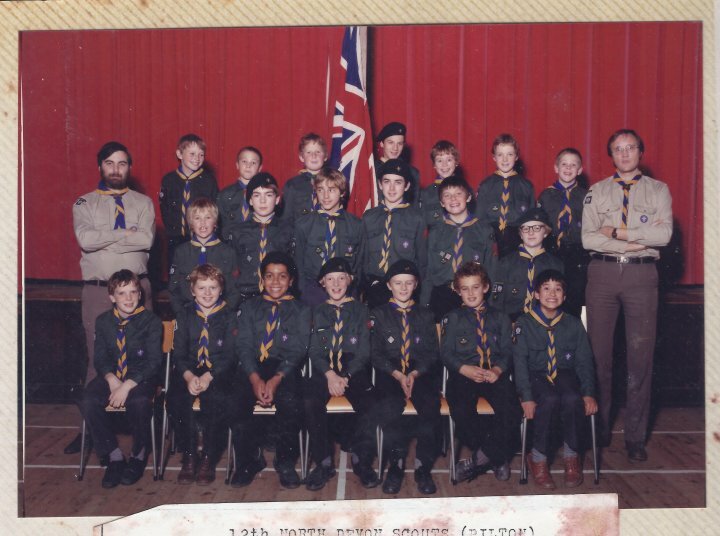 It is one of a group of similar photographs of the Scout Group taken in that period. One of the others can be seen following this link where there are names for many of the scouts. We recognise Scout Leader Terry Chaplin on the right. Help with naming the scouts in this photograph would be welcome. Thanks to Marion Sanders for bringing these to The Pilton Story.